This module is specifically designed for the individuals or organizations that are involved in the construction and keen to explore new technology with the aim to bring awareness of the recent developments in Building Information Modelling (BIM). 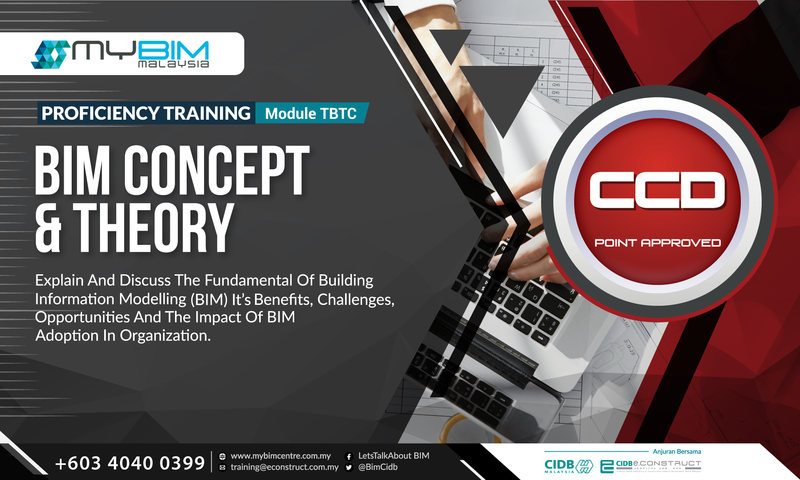 The program explains and discusses BIM concept and theory, its benefits to the organizations, challenges, and opportunities, case studies, and the implementation. The participants will be able to discuss the impact of BIM deployment on their organizations, e.g. on their work practices, contracts, IT infrastructure and skills development.